Dungeons & Dragons Gift Sets are in! That’s right folks, the perfect holiday gift for the Dungeons & Dragons lover, in your life, is finally here! 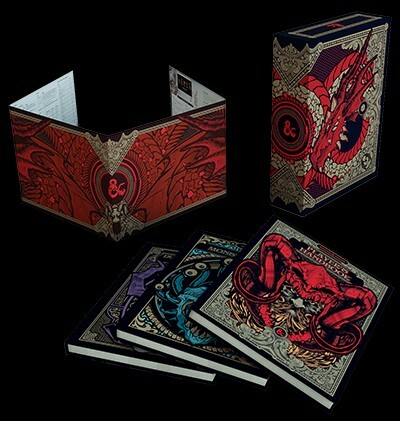 Included in this special edition box set are alternate art copies of the following books: Dungeon Master’s Guide, Monster Manual, and Player’s Handbook as well as a beautiful DM Screen. Supplies are limited so get them while you can!